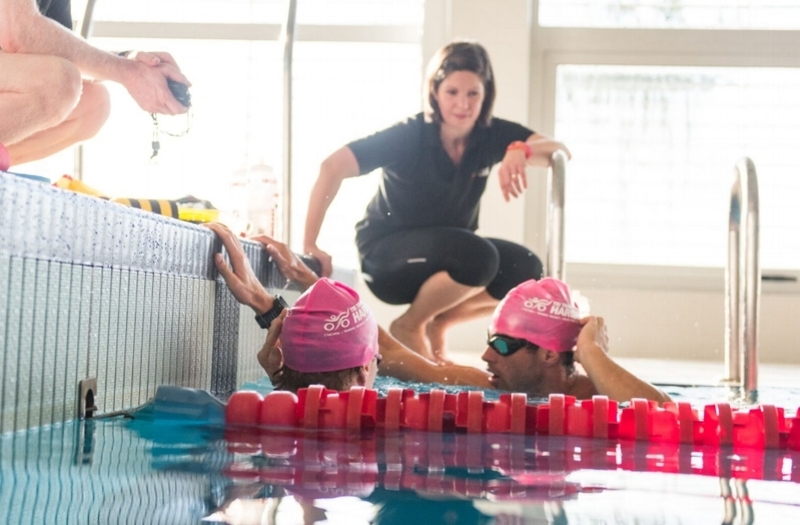 Tri Training Harder: Does Great Athletic Achievement Breed Stellar Coaching Skills? Does Great Athletic Achievement Breed Stellar Coaching Skills? In many situations those who are performing well in sport, become role-models or leaders to others wishing to perform to a similar standard. On some occasions, these model athletes sometimes do make excellent coaches. However, there is a key distinction: coaching skills and athletic prowess are not the same thing even though there may be overlaps. However, in our experience of working with developing coaches, these overlaps are made through the character and attitude of the athlete as they make their move to coaching and not the achievements themselves nor knowledge which just can't make that gap from great athlete to great coach. Frequently a coach's empathy, interpretation and compassion go a lot further than fitting athletes into a mould to become better. Coaches' soft skills are usually drowned out when it comes to forming an opinion of their coaching ability in favour of the latest "hot topic" or personal athletic history which hold more weight when it comes to marketing the "key" coaching skills. Yet it is these very soft skills that are core to all great coaches. This egotistic approach can be very commonplace in sports or areas where not many people have done it. "This worked for me, so try this" isn't coaching the athlete in front of you, it is applying a plan. Here we discuss the positives and negatives of both styles of coaching and how they benefit different athletes answering the question: "Does athletic ability lead automatically to great coaching" and is there a risk in following the talented athlete who offers training programmes purely on the basis of their athletic achievements? Often we see situations where athletes seek a coach who has "been there" and done it all before. In many ways, you could liken that to sitting in court accused for (e.g.) speeding*. You spend your time looking for someone who was previously accused of speeding and who managed to avoid prosecution to act on your behalf instead of engaging a lawyer. That isn't to say that they won't do a great job of being a lawyer, but it certainly isn't a prerequisite and they are likely to develop a defence based on their own experiences, rather than your own situation. *Clearly we don't condone any sort of law breaking! In the same way, being a successful athlete is not a prerequisite for being a successful coach. However, it can certainly help and it does add a level of experience that can't be learnt easily. However, what about the athlete who is currently training and doing coaching on the side? Does the fact they are doing that make them any less or more suitable as a coach? Often athletes gravitate to other athletes (who are performing well) hoping that some of that success will rub off to them and thus coaching by said high performing athletes will mean that they in turn will also achieve their goals. But is this the right way of looking at an investment into your own performance? So What about Training Coaches? For the duration of this article, we use the phrase "Training Coach". This term is used to describe someone who is performing as an athlete at the same time as a coach. This is someone competing at the top of their Age Group or as an elite athlete. This is clearly not focussing on coaches who also practice triathlon, that would exclude almost everyone! It focusses on the athletes who you may seek coaching from "because they are really good, so they can make me good too". They are invested in the sport, the gear, the professionals, everything. They are likely to have their ear very close to the ground in terms of next/new ideas/and training opportunities as they want to make every step count. At the sharper end, their understanding of real-life race tactics will be invaluable. They will have huge amount of empathy, they have been there and they can fast-track the experience process an athlete would have to go through. They will have their own personal goals that will usually come first – they need to keep up their own training to achieve their targets. - make sure these do not become a higher priority than your own goals! Their own experience is likely to influence their coaching philosophy or outlook – make sure these fall in line with the philosophy and outlook you are looking for in a coach as this relationship is really important. The chances are their range of athlete is very limited. Though this can be the case for all coaches it is common with current and ex-high–performing athletes turning to coaching. Coaching is likely to be secondary to their own performance, so their own learning development may take longer in some areas they don't see as important. Make sure that you are aware that this may be the case and the coaches limitations do not end up limiting your own performance. Make sure they aren't in your age category! They will work as a coach first, not as an athlete doing coaching. They likely to work within a range of their experiences with different athletes, not just their own experience. This is certainly something to consider, though is not always the case. They will tend to deliver training based on the athlete in front of them. Not deliver training based on what athletes need to achieve to make the cut. In our experiences Non-Training Coaches generally set aside more time to self-development as a coach this self growth characteristic is generally found amongst all great coaches, regardless of their athletic ability. May be working off theory instead of actual experience of racing or working with athletes who compete well. May be nervous to push into an athletes protective buffer for fear of injury or over training. Sometimes the athlete needs to just get on with it but that is usually easier said when you have been through that hoop yourself as an athlete. Personally, I have seen myself do a bit of both. I used to race a lot more as an age-grouper and had some lofty goals and ambitions. Training was certainly my focus and I loved the coaching on the side. Since I chose to focus more on coaching, I have seen that my quality of coaching has improved drastically (my own park run times have certainly not improved though!). I am able to work more closely and in a more informed way. This is partly because I am doing more coaching and also because I find myself caring more about the athletes and their performance than ever before. Do I think I could take the same amount of care and deliberation and improve my knowledge as much if training hard for my own goals? Certainly not – but that doesn't mean others can't combine the two. I also feel that my experience of racing has proved beneficial when talking with athletes about how to approach a race, and the emotions/feelings that go with it. However, I have never raced ultra-marathons and talking with several athletes I work with, understanding the event stresses and the race mentality has meant I can still deliver training packages that work very effectively for the athlete. Open your eyes to what is around you, not just the training you are doing. Equally, I have worked closely alongside some coaches who have never been on the race course of championship events but whose coaching approach, advice and methodologies are world-class. They have this ability to deliver the right message time and time again. These styles of coaches can effectively work with anyone and should never be dismissed. All coaches at all levels can learn a lot from that. For example, there was one coach, who was working with a vet. A good age group athlete who had a lot on their plate and was getting bogged down in the detail of underperforming as life got in the way leading to a negative spiral of doubt, concern and motivation to train. This coach suggested the athlete go out and instead of counting watts, count the number of song birds on a ride or to go running and not worry about pace and intensity, but to take in the beauty of nature and the animals in the woods. Funnily enough this athlete bounced back to the season. How many coaches would have thought to that level of detail? It goes without saying that the coach and the athlete have to be suited to each other in the athletic and coaching spectrum. If you are a middle of the pack athlete asking for coaching from an ex '10 time world champion' you are probably working with a coach for the wrong reasons. As long as the coach takes the same care in their own professional development as a coach as they do about setting their goals for the next race, I think you can find a very meaningful and lasting coaching relationship which works regardless if the coach is a practicing competitive athlete themselves...as long as you aren't in their age category! Do I need to Progress my Swim Technique?